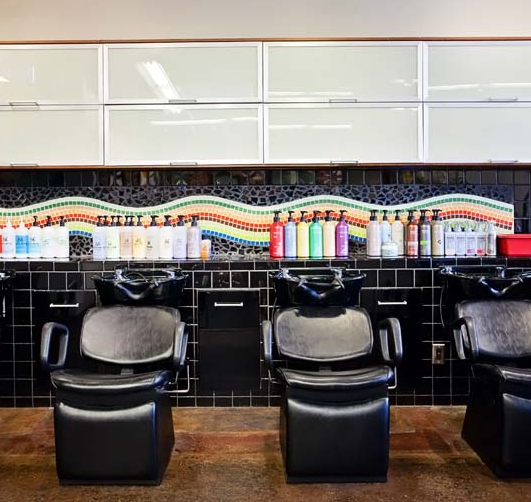 Detour Salon can be found at the intersection of style and whimsy. Actually, our flagship and original location is located at the corner of Coast Hwy 101 and E Street where this Encinitas icon has been serving north county residents for more than 15 years. With a focus on terrific hairstyles for both men and women, Detour is one of the hottest salons in San Diego County. Detour Salon is a diverse team committed to the professional craft of hairdressing, and inspiring fun in ourselves, our clients and our community. We do this by being the authority in hairdressing and presenting innovative merchandise in an environment that is both welcoming and memorable, backed by exceptional customer service. More importantly, our customers must love their experience in hair, design, and style enough that they feel compelled to recreate a small part of the Detour experience at home.